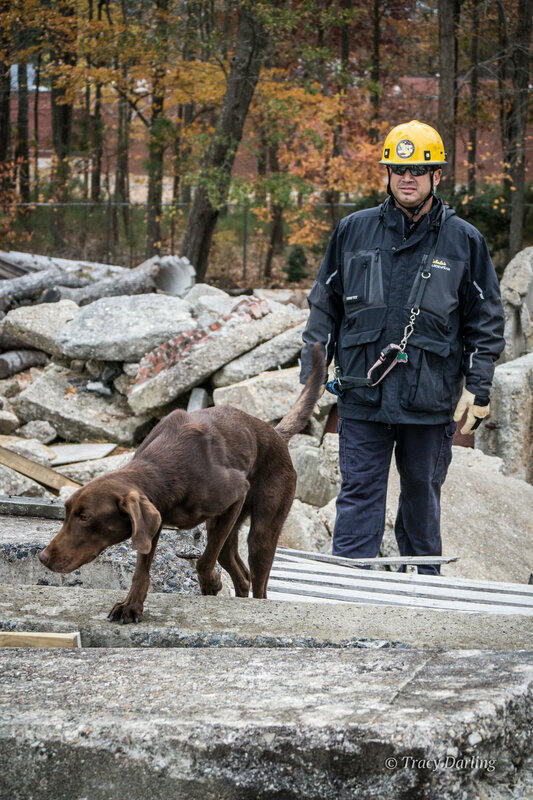 Eric and I attended our first K9 search and rescue training a few months after September 11, 2001. 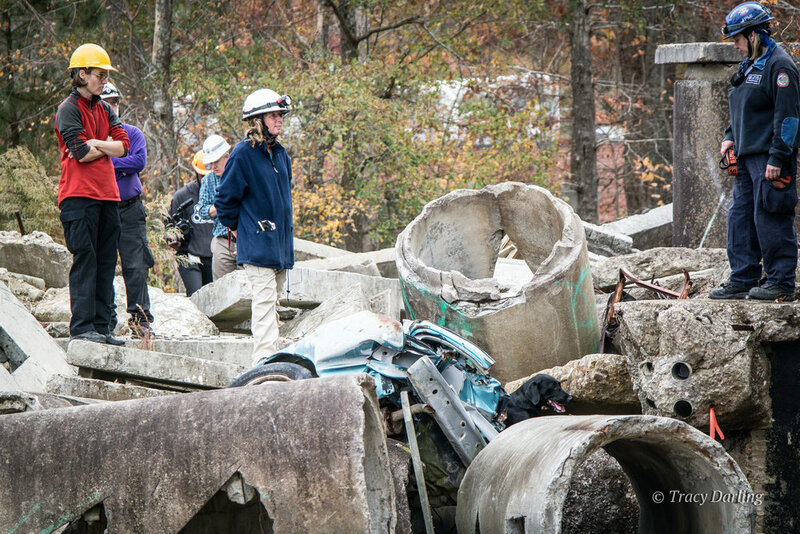 We both had a lifelong love for dogs, and like so many others, were inspired to action by watching and learning about the rescue and recovery efforts by so many in the days/weeks/months following that tragic day. 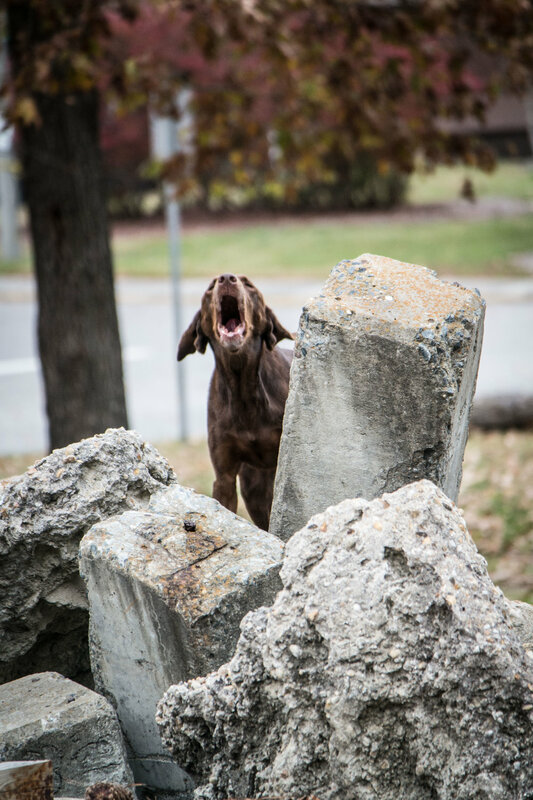 We would later realize how much this “hobby” of training search dogs would teach us about hard work, dedication, the human-animal bond, and the power of community. 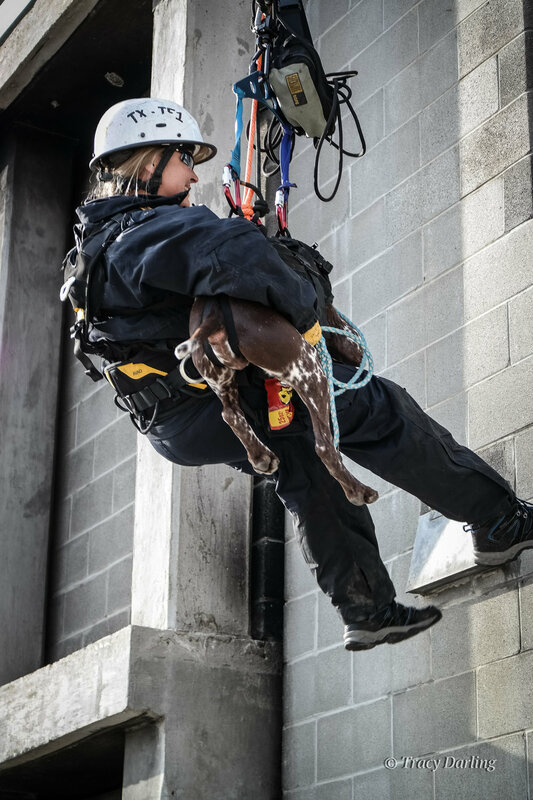 No one will say that training a disaster search dog to the top federal certification level is easy. 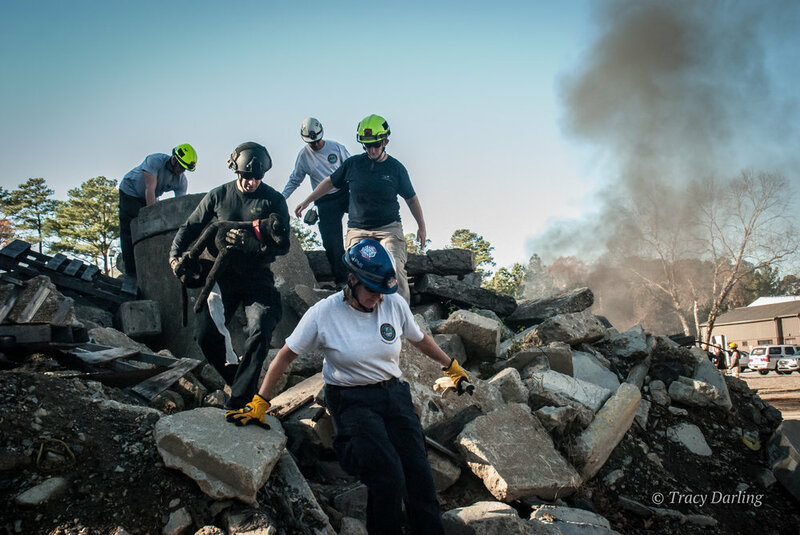 It takes thousands of hours of training, thousands of miles of traveling, early mornings, long days, lots of time away from family, and we can’t forget to mention the out-of-pocket expenses. Some dogs make the grade, and some dogs don’t. 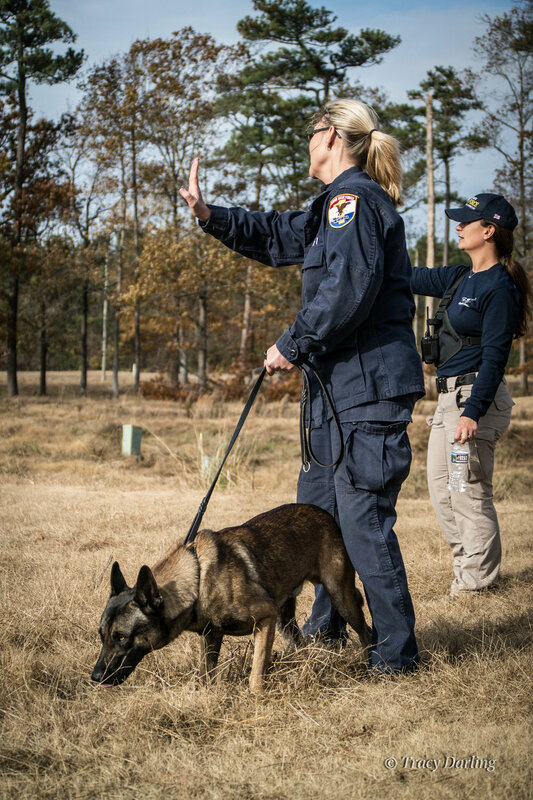 Some handlers succeed, and others fail. 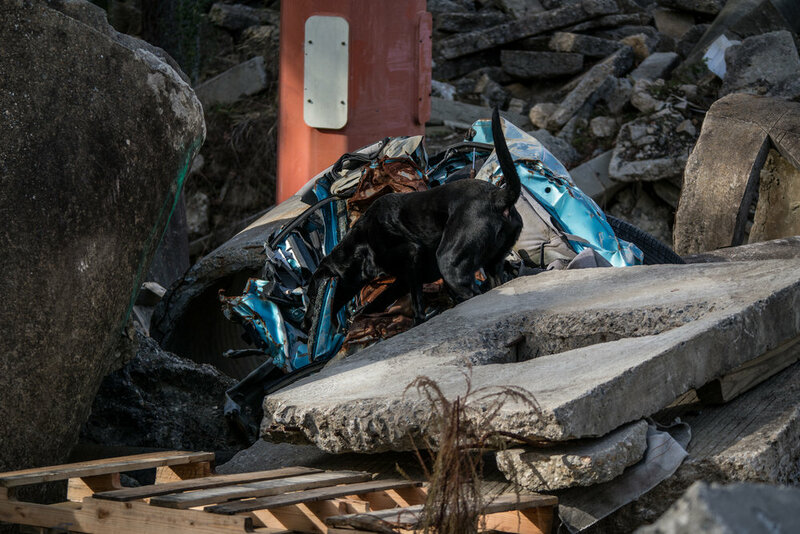 One thing we have learned, is that with disaster search dogs, success cannot be achieved alone. 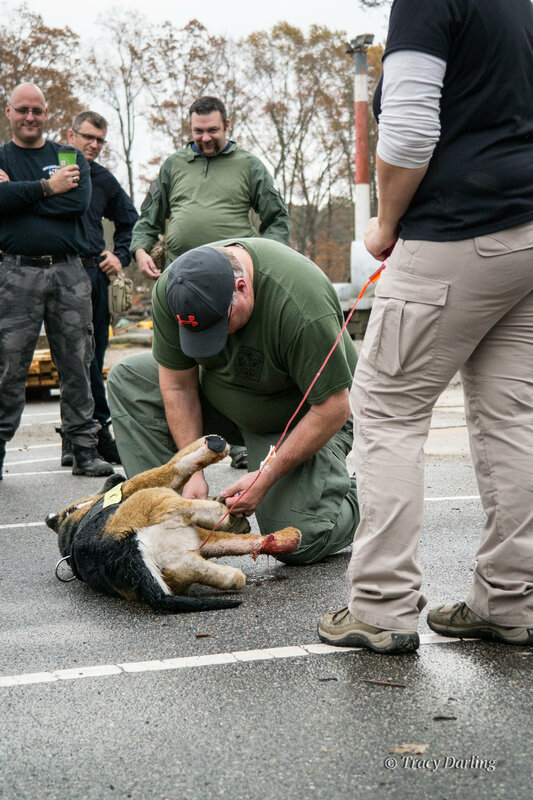 We’ve been fortunate to have had the opportunity to be a part of the journeys of countless dogs over the years and each encounter has been a lesson about community. 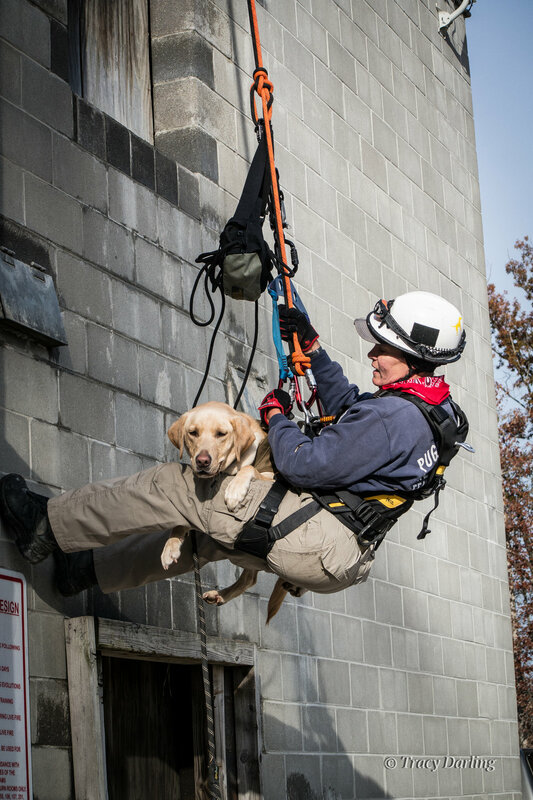 You see, when you are training disaster dogs, it is all about drive. 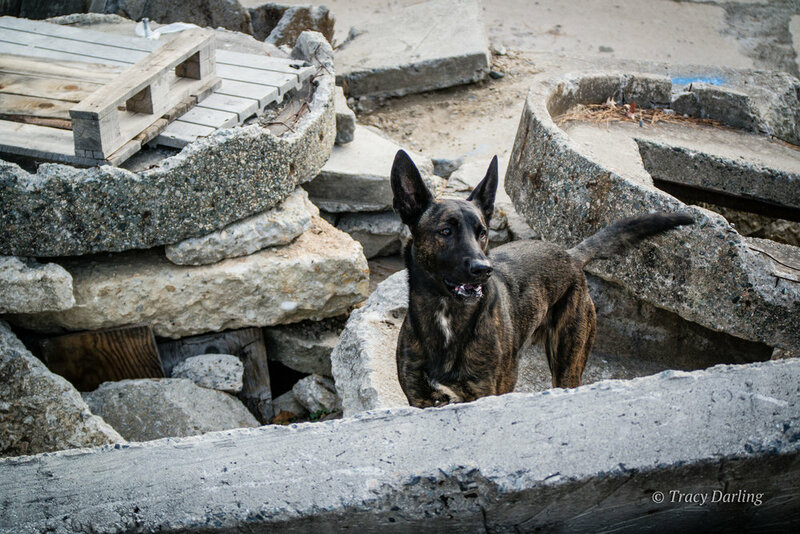 If the dog doesn’t want to do it they won’t, and it is up to us to build and maintain this drive at every training. 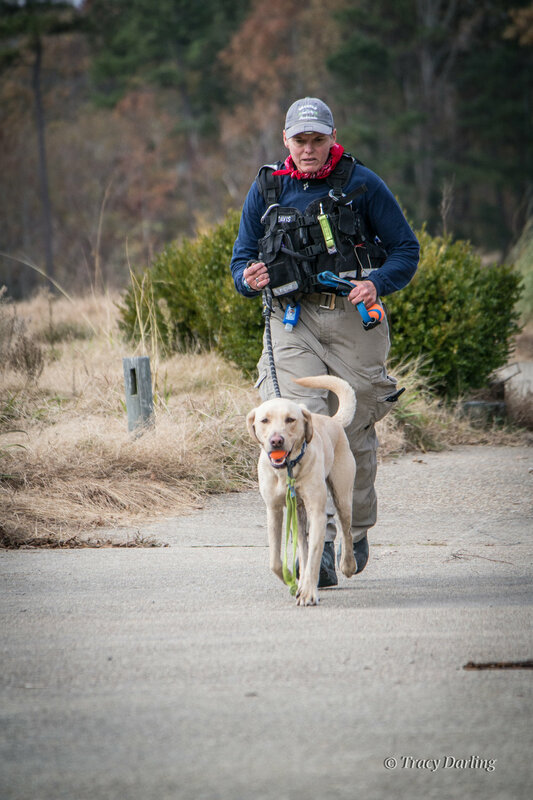 Every interaction with a search dog determines its desire to search the next time, so we rely on each other as “victims/decoys/survivors”, to build on the last experience. Getting in “the hole” is equally an incredible opportunity and great privilege, but also a responsibility that comes with tremendous pressure. 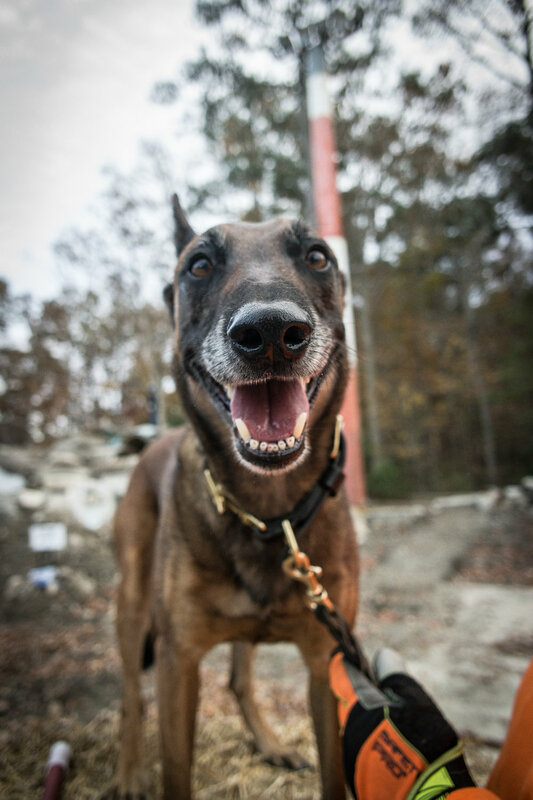 A successful session can build a dog up, but an unsuccessful session can knock back a dog’s training several weeks. 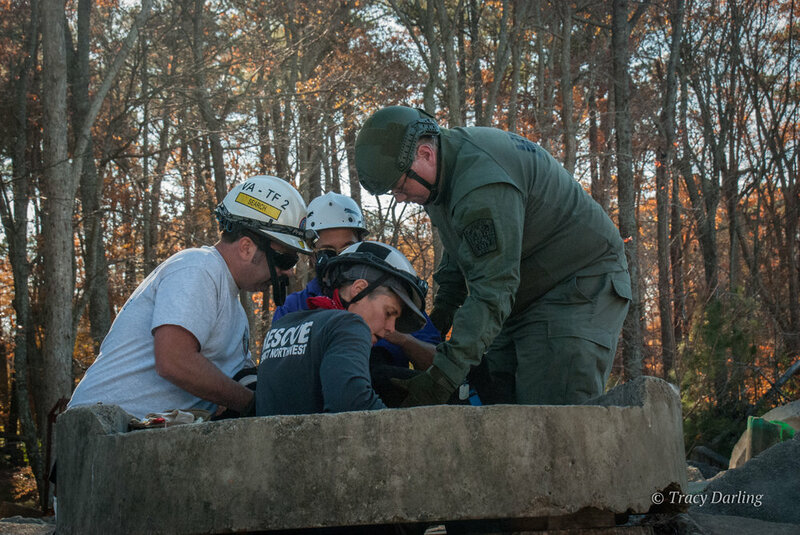 We’d like to celebrate all of the dedicated folks willing and eager to get in “the hole” to improve the level of training of disaster dogs everywhere. 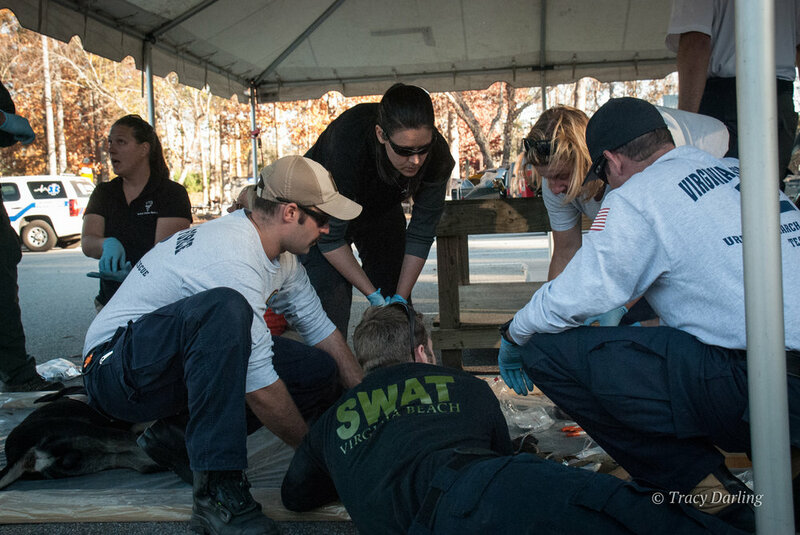 Your perfectly timed enthusiasm may seem ridiculous and over-the-top, but just may save someone’s life someday. Thank you.